Do Dogs Need a Walk Every Day? It seems like an easy question when it comes to whether a dog needs a walk every day or not. But the answer isn’t always cut and dry. Daily walks do more than provide your dog with physical exercise. They also serve as an enrichment activity that exposes them to new sights, sounds, and smells, which is good for their happiness and mental health. Without regular exercise and mental stimulation, dogs are more prone to destructive behaviors like chewing and digging. When it comes to walks, several factors determine your dog’s individual needs. Some dogs have high activity levels while others are natural born couch potatoes. If you have a dog that’s considered a sporting, working, or terrier breed, they could benefit from one or two walks a day. Since puppies are busy growing, it’s important to focus on shorter outings instead of one long walk. Your dog’s age also can play a role in their activity level. As a general rule, young dogs often need more exercise. As they move into their middle and senior years, they often have less stamina or issues like arthritis that can slow them down. Even if your dog has mobility problems, though, they still usually enjoy a slow walk outdoors. Most healthy dogs in good physical shape can benefit from a 20- to 30-minute walk each day, and some can handle up to two hours at a time! 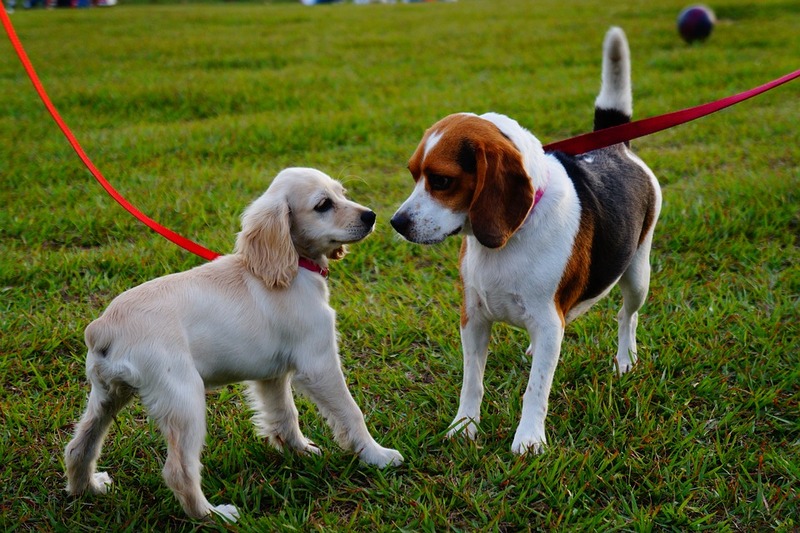 Pay attention to your dog during your outings to see how they respond to the activity. And, if you have an older dog or an animal that’s overweight or has health problems, ask your vet for guidance on how to incorporate a daily walk into their schedule. But what if you can’t walk your dog on a daily basis? Don’t worry; there are other ways to keep them mentally and physically engaged! Check out your local dog park or sign up for doggy daycare sessions! Want to up the ante? We also offer One-on-One Playtime and Nature/Urban Walks in the fresh air! All of these activities offer numerous benefits for a dog’s mental and physical health, so contact us for more details. To increase your dog’s enrichment indoors, you can choose from several options. It’s easy to keep them challenged by adding obedience training into your daily routine. Or, increase the FUN factor with activities, like nose work and puzzle toys, from our Fun Ways to Play Indoors post! Do you walk your dog every day? Tell us in the comments below! Two-year-old Gimli has been part of our Bloomington pack for over a year now. 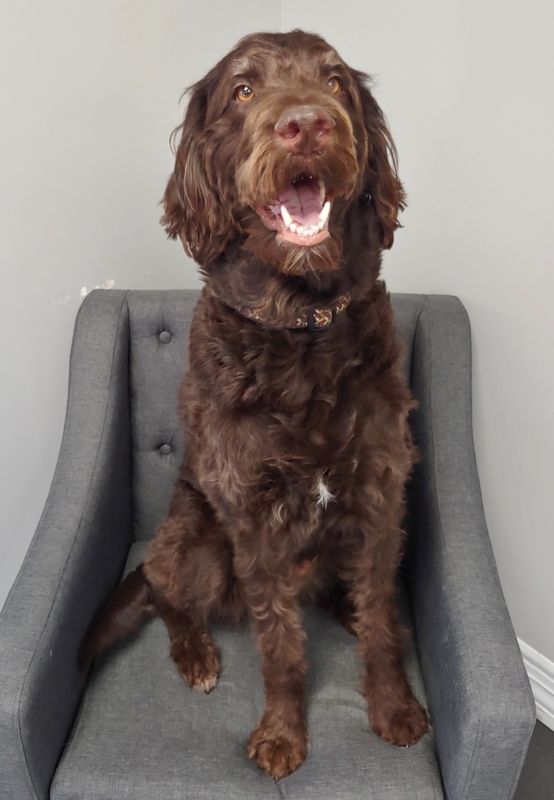 When Gimli comes to Wagging Tails, this friendly Labradoodle loves to play with his friends and hang out with his pack leaders. 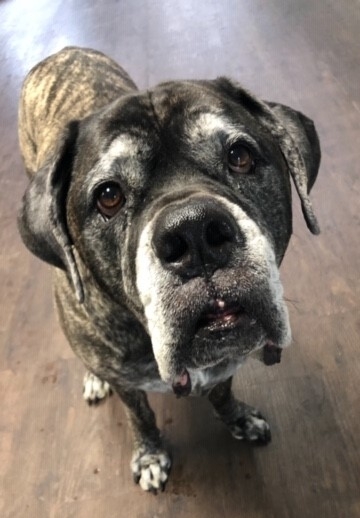 Gimli’s owner Elisa tells us that her favorite part of each day is taking Gimli out at night to clear her head before bedtime. She said that Gimli takes special care choosing the perfect toy to bring along as soon as he notices her getting ready to head out. And, once their walk begins, Gimli likes to lead the way. He doesn’t pull Elisa. Instead, he looks up at her and indicates which direction he’d like to go with his eyes or by pointing. Some nights, he wants to walk down the street, but others, he prefers circling their apartment building while they listen for owls or check on the moon and stars. Elisa isn’t sure what prompted these unique outings because Gimli likes following her lead during their daytime strolls. But she always looks forward to the variations of toys, walks, or ways of communicating when they share this special time together in the evenings. 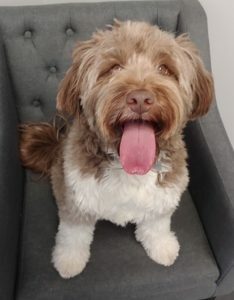 In addition to enjoying his evenings out, Gimli is a smart pup who not only knows people by name but his toys as well – including ‘cow,’ ‘dragon,’ ‘tennis ball,’ and ‘squeaky dog’! He makes friends everywhere he goes and even has a bestie named Ollie who lives all the way up in Duluth. Owner Kelly has been bringing 7 ½-year-old Havoc to our Eagan location for the past three years now. When he comes to Wagging Tails, he loves supervising the other dogs while they play and getting plenty of pets from our team. Havoc spent the first two years of his life at his grandma’s house helping her do human daycare 40 hours a week. By the time the human babies were toddlers with baby dolls, Havoc decided he needed one for himself too. His grandma finally bought him his own so that he’d stop stealing the baby dolls from the kids! Havoc still carries it around and sleeps with it every night. Kelly describes Havoc as a happy, lovably lazy oaf who likes to nap, eat, and get pets. He’s perfected the art of making sad puppy eyes if you’re eating something yummy, and he won’t hesitate to climb on top of you if he wants kisses and attention. Havoc also considers everyone a friend — whether human or animal — and even enjoys the two neighbor cats who like to stalk him on the deck while he’s napping. The worst part of having a dog is saying goodbye. Whether the “time was right” or occurred suddenly, their loss can trigger intense emotions that are hard to handle. Sometimes, we can even be surprised by how much we hurt. People don’t spend a lot of time talking about pet grief, but it can affect us on a deep and emotional level. Dogs play a unique role in our lives and give shape to each of our days. We wake up to let them out and feed them, plan our schedules around walks and bathroom breaks, and look forward to snuggling after a long day. They make us laugh, lick our faces when we cry, and are happy to see us no matter what. When they’re suddenly gone, it can come as a tremendous blow that’s hard to recover from. But we often keep these feelings to ourselves and struggle through our days alone because it’s hard to understand the emotional impact animals make on our lives. It’s never easy to lose a dog, but several things can help you through the healing process. Try reorganizing your daily activities and routines. If your dog was your walking companion, for example, see if you can head out with a friend instead to explore a new neighborhood. If you don’t have friends and family you can turn to while you grieve, there are local and online support groups so you don’t have to feel alone. 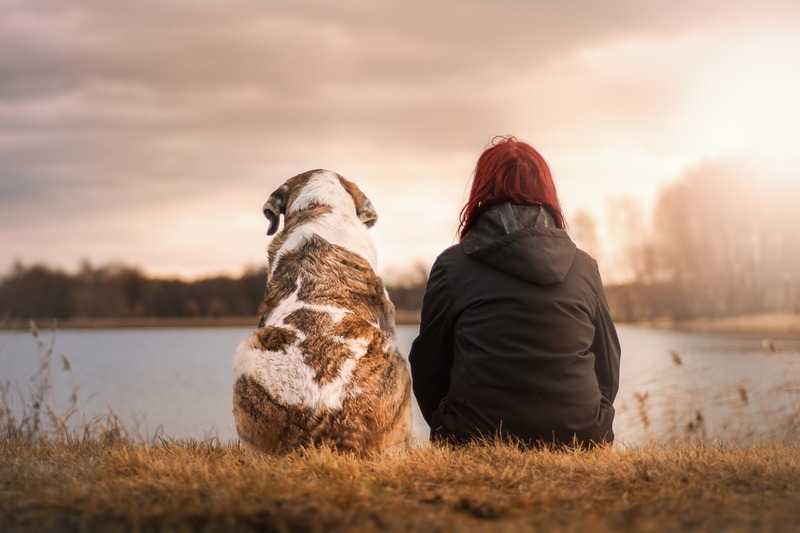 There are several resources available on navigating pet grief, including Going Home: Finding Peace When Pets Die by Jon Katz and the article Why We Need to Take Pet Loss Seriously by Guy Winch. Your beloved dog may be gone, but you can keep their memory alive with memorial activities. Plant a special perennial in your yard or make a donation in their name to your favorite animal rights organization. The possibilities are endless; you can even turn their water dish and collar into a planter or get a Maggie’s Light™ memorial candle. The main thing to remember is that recovering from the loss of a beloved companion takes time and you don’t have to rush yourself. 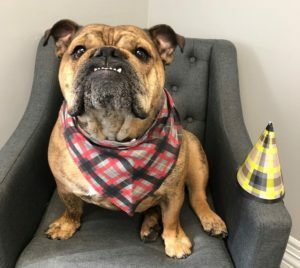 Dogs in our FREE Birthday Club get a complimentary bandana, doggy daycare “Playday,” and a birthday party! Visit our Photo Gallery to see all of the dogs in our Birthday Club. Spring is in the air, and more people are hitting the pavement with their dogs to enjoy it. But nothing derails an afternoon walk like a dog dragging you down the street and refusing to listen. When it comes to leash training, it’s important to remember that it takes patience, time, and consistency to teach your dog new things. To start off on the right paw, begin working with your dog indoors in a quiet environment with few distractions. As they grow comfortable with the idea of walking beside you on a leash, gradually increase their distractions by taking them into your back or front yard, and then eventually into the neighborhood. It’s easier to build good leash manners one step at a time than plunging into the deep end and wondering why your dog isn’t responding in a noisy or distracting environment. And, remember, before you’re ready to get to work, make sure your dog has burned any excess energy by having a good romp or game of fetch. The more pent up energy your dog has, the more likely they’ll be ready to take off running as soon as your walk begins! To set the stage for a good walk, make sure you have the right gear. Popular options for comfortable walking include body harnesses where your leash attaches to your dog’s chest, back, or both, and halter varieties that go over their head, like the Gentle Leader. Both harnesses and halters use different approaches that control your dog’s body to help guide their walking. If you have a harness that attaches to their chest, for example, it draws your dog to one side when they start to pull. When you use a halter, you have control of their head. 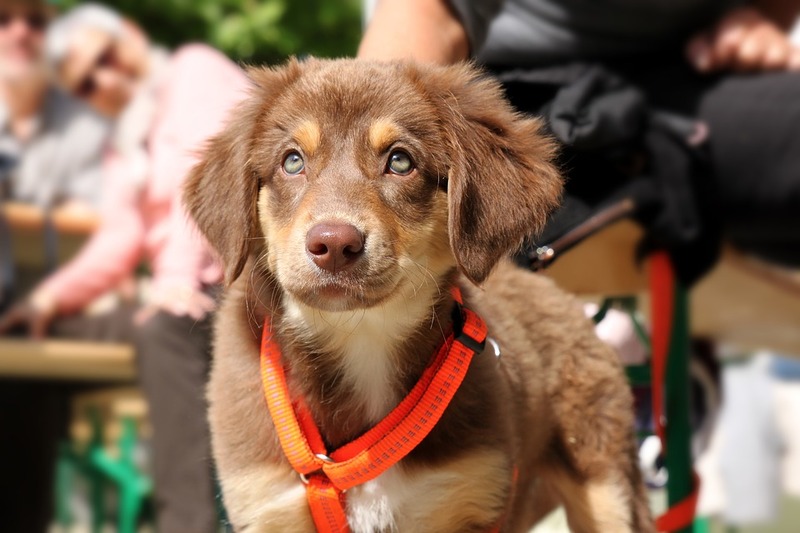 There are several advantages and drawbacks to each kind of harness and halter, so we recommend talking with your vet or dog trainer to get additional guidance on the best option for your dog. A popular strategy for correcting pulling is the “Stop and Hold” technique. Basically, the minute your dog starts to pull, stop walking and refuse to move until they come back to you or let up the tension on the leash. An important aspect of this approach is not pulling or yanking on your dog to get them to stop pulling because that can encourage them to pull even harder. Instead, the minute they pull, stop and wait patiently in place until you see the behavior you’re looking for. Many dogs respond quickly to the stop and hold technique because they realize that the fun stops as soon as they pull on the leash! Don’t forget to reward them enthusiastically during this exercise with praise, a favorite toy, or some healthy treats to help keep them engaged and having fun. If you’re a new dog parent or looking for additional support, nothing beats working with a professional dog trainer. These experts have extensive experience training a wide range of dogs and dealing with challenging behaviors. This enables them to provide personalized tips and proven methods based on you and your dog to help you achieve success. You can also sign up for different types of training approaches, including one-on-one sessions, group classes, and in-home assessments. 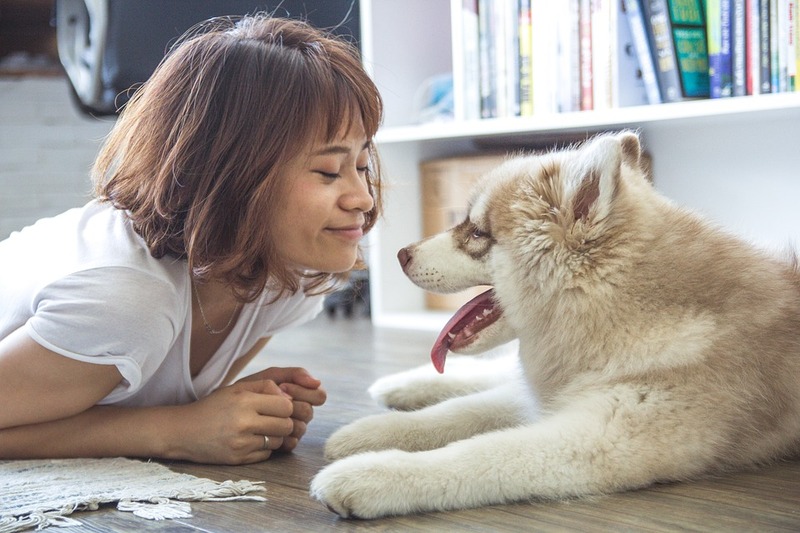 You can even opt for training sessions where your trainer works directly with your dog and then teaches you how to maintain their new behaviors. We offer a wide range of dog training classes at Wagging Tails, so contact us to see which one is best for you and your dog. While there are several different approaches to working on loose leash walking, each type of dog can offer its own unique challenges. A herder could compulsively nip at your heels to keep you moving while a terrier could end up overstimulated by their surroundings. Patience and consistency are always key, but, if you are continuing to struggle with loose leash walking, be sure to discuss your concerns with your vet or our on-site dog training expert. Kai is a border collie and Great Pyrenees mix who’s been coming to our Bloomington location since she was adopted in 2015. This sweet girl loves playing and wrestling, but her owner Tony also told us he’s never seen her make it through an entire day without a good, solid nap. Tony thinks Kai is about six years old. When they first went to meet her, she was on a foster farm in Faribault with seven other dogs. While the other dogs rushed to the car to greet them, Kai stayed back and waited for them to come to her. Tony says that Kai knew from that very first day that she was going to make them work to earn her love. This sweet girl loves a good cuddle, and she’s very particular about it. Kai will snuggle with just about anyone, but absolutely no movement can occur when a good cuddle is underway. Tony says that even if you move a toe while she’s sleeping, Kai will jump up immediately and walk away because of being disturbed. Kai shares her home with two newts, but Tony doesn’t think she realizes they’re there. She does, however, love spending time with her cousin Charlie, an English bulldog, and has numerous friends in their apartment building. When Kai comes to Wagging Tails, she enjoys being doted on and wants constant reassurance about how much we love her. And we do! Albus, the border terrier, has been a magical presence in Eagan for the past year and a half. When he isn’t busy running around in the play areas, six-and-a-half-year-old Albus loves coming up front to beg for treats. This frisky pup, Albus takes his responsibilities as Dumbledore’s namesake very seriously. In the right moments, he even responds to the command “Stupefy!” and falls to the ground stunned – especially if the command involves a chopstick; oops, we meant a magic wand. Albus is an only child who loves attention but isn’t a huge snuggler. Still, it’s hard for him to resist climbing under the covers for a cuddle on a cold night. His owners Lauren and Kevin tell us Albus loves playing in front of the fireplace during the winter, but sometimes gets startled when he sees another dog’s reflection staring at him in the glass doors! Lauren and Kevin love Albus’s quirky characteristics and his independent, stubborn, and energetic terrier nature. They affectionately call him their little weirdo and say it makes him a perfect fit for their family. His unique temperament keeps him happy and content just about anywhere he goes, and they can’t imagine life without him because he brightens each and every day. But what’s the best part of having Albus in their lives? “Coming home from work each day to a happy boy (or coming to Wagging Tails to pick up a happy boy)!” Lauren and Kevin told us. Does Knowing Your Dog’s Breed Matter? Dogs come in all shapes and sizes. There are purebreds, designer breeds, mix breeds, and those that are hairy and hypoallergenic. All of this variety makes it easy to find the perfect companion for each and every household. In recent years, there’s been increased demand for doggy DNA testing promising to unveil the hidden secrets of your dog’s genetic makeup. This is an especially fun prospect for people who adopt mixed breed dogs and eagerly try to guess their makeup. You may think you’re an expert at identifying a dog’s breeds by looks alone, but supposedly only 2% of your dog’s genes control their physical appearance. It also turns out that common dominant traits your dog can inherit — like a block-shaped head, dropped ears, or a short black coat — can be attributed to hundreds of breeds beyond the one you’re thinking of. When it comes to DNA testing kits, some claim to look at as many as 1,800 genetic markers before matching them against databases with more than 250 dogs. This approach offers higher rates of success when identifying prominent breeds in your dog compared to self-identified experts, like vets, shelter staff, and trainers, who are only successful about 27% of the time. But, as much fun as it is to know your dog’s breed, does it really matter? Understanding what your dog DNA make-up is can offer insight into health issues they may be prone to or what some of their drives may be. They can also provide clues that can help you keep your dog happy and engaged, like offering a beagle the chance to use their nose. As humans, we naturally gravitate to assigning dogs to breeds to create order. It helps guide our assumptions that certain types of dogs aren’t as smart as others, some are predisposed to barking, and others can even be dangerous. Studies have also shown that when people see photos of two similar looking dogs, they make judgments on the animals based on their breed labels. While certain breeds may have specific behaviors associated with them, a lot more than genetics comes into play in these things. And that’s because we play an important role in helping to shape the animals our dogs become. So, at the end of it all, when you have a dog that you love, do they mean more to you when you know their breed? For most dog owners, their unconditional love, affection, and companionship is more important than a breed name or the collection of traits we may associate with them. It’s the warmth that comes from their warm bodies when we snuggle up on the couch. It’s the smile they put on our faces after a long day at work. It’s the wag of their tails when to show us they’re happy. In our minds, all of the things that make them special put them in a category all of their own: Dog. Have you had your dog DNA tested? Were you surprised by the results, or did you learn anything? Tell us in the comments below! We did more than write love letters to your dogs this past February; we also threw more than 30 birthday parties! 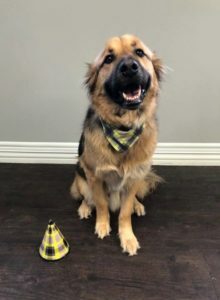 When you’re a member of our FREE Birthday Club, your dog gets a complimentary Playday, bandana, and a birthday party! It’s hard to know when your dog is feeling their best, but there are easy ways to keep them happy and healthy. This checklist will help you take the right steps to keep your best friend in top form. With so many foods available for dogs these days, the choices can be overwhelming! But feeding your dog a high-quality food can protect their overall health and wellness. For the best results, talk with your vet so they can make recommendations based on your dog’s individual needs. 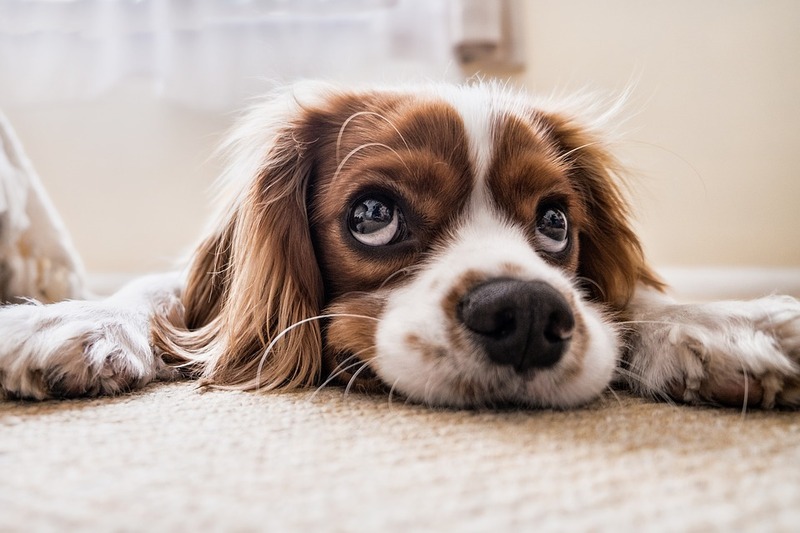 Factors that contribute to your dog’s diet include their weight, energy levels, gastrointestinal tolerance, as well as their skin and coat condition. People aren’t the only ones who have a weight problem in the United States; their dogs do too. And extra pounds can lead to health problems in them as well, including Type 2 diabetes, osteoarthritis, urinary tract problems, and skin issues. Work with your vet to learn how to manage your dog’s weight and incorporate weight-loss strategies if needed. Exercise and enrichment really do a body – and brain! – good. If you’re starting to introduce your dog to exercise, begin slowly to help them build up their strength and stamina. It’s also important to remember that dogs of different ages require different amounts and types of physical activity. To keep your dog mentally stimulated, give them enrichment activities that offer fun challenges while also keeping them active. Dogs are pack animals and love being with their people. Think about what your dog’s favorite activities are and make sure to do those things with them each day. This might mean going on a walk, playing fetch, learning tricks, or snuggling on the couch. Whatever it is, try to include as much of it in your daily regimen as possible; it’s good for both of you. Just like humans, good dental health is essential for your dog’s wellness. But, up to 85% of dogs have gum disease, a potentially painful condition that introduces bacteria into their bloodstream, causing kidney, liver, and heart disease. New to brushing your dog’s teeth? We have tips to help get you started at any age. And, if you’ve thrown in the toothbrush, we have more tips to help you protect their oral health without brushing alone. Remember, one of the most important things you can do is take your dog in for regular veterinary visits with a vet you trust. Not only do these appointments ensure your dog stays up-to-date on important vaccinations, but they also help your vet create a baseline of their overall health. Plus, the better your vet knows your dog, the easier it can be for them to detect illness and disease at an early stage. Our Bloomington Tail Wagger is an Australian Shepherd and poodle mix named Addie who’s been coming to Wagging Tails for the past two years. During her visits, Addie loves getting attention from the Play Coaches and exploring behind the front desk. Addie is an affectionate and playful girl who loves wrestling with her 16-year-old orange tabby cat sibling and young, playful male dogs. Her owner Elisabeth tells us that Addie thinks the crazier the playmate, the better! This friendly girl is very protective of her house and sounds the alarm whenever anyone or anything walks by. But, when Addie encounters the same interlopers while out on a walk, she’s thrilled to meet them. Addie also makes her family laugh every day. They say she’s especially funny when they’re at the cabin over the summer. She loves it when they beach their boat on an island so she can jump out and zoom around at full speed until she’s completely exhausted. Pint-sized Lola is a two-year-old Shi Tzu who has been coming to our Eagan location since she was five months old. When Lola comes to play, she enjoys spending time with her best friends Luna, Rosie, and Libby. Her owner Anne tells us that Lola also loves spending time with her cousins, Coco and Lottie. 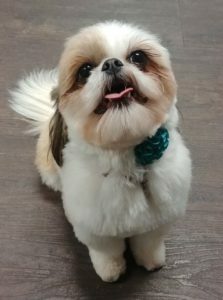 They’re both Shi Tzus, and Lottie is a part of our Bloomington Wagging Tails pack! As much as Lola likes spending time with her friends, however, she prefers playing with her toys by herself. Anne says that if you try to join in the fun, she stops playing! Lola has the sweetest personality. When she greets people, she loves to charm them by standing on her back legs and waving her front paws at them. Lola’s also a very good listener who looks you straight in the eye and tilts her head, pays careful attention to every word you say. Another quirky habit that Lola has is being afraid of suitcases! What’s the best part of having Lola and her life? “Lola loves me to death and follows me everywhere!! !” Anne told us.